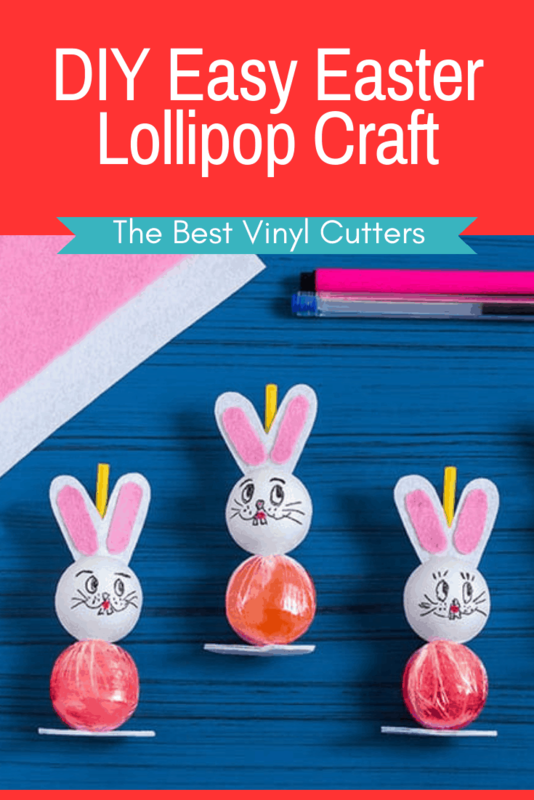 Have you ever thought about making an Easter bunny from a lollipop? 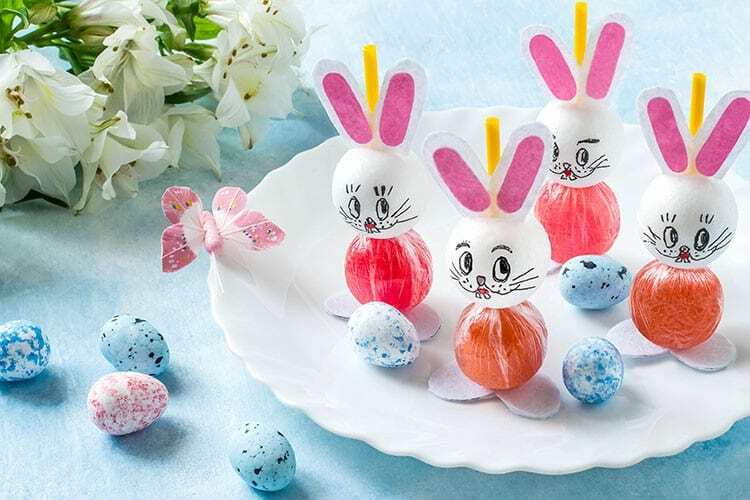 I love these sweet and adorable Easter lollipops and guess what!? The step-by-step tutorial we have is so easy that I’m not even sure you need the written instructions. 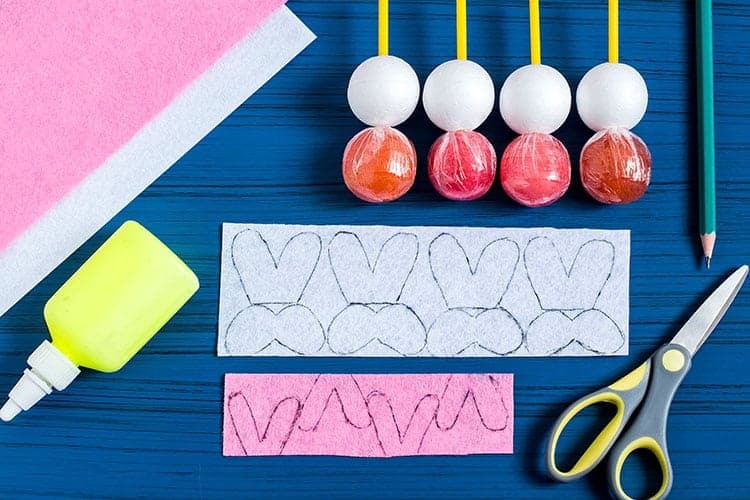 In actual fact, our Easter Lollipop tutorial is so easy that it makes such a great Easter craft for children to have a go at as well. My daughter loves making these and she is always so proud of herself when she hands them out to her cousins! But hey, I know you want to get crafty, so get ready to get your craft game on. Let’s go! Find below the steps to show you how easy it is to whip up these fun Easter suckers. 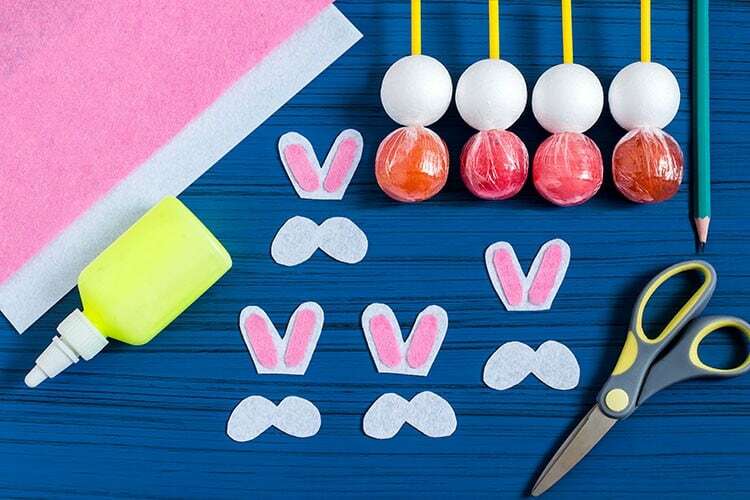 Find below the step-by-step instructions on how to whip up these pretty DIY Easter Hare Suckers. 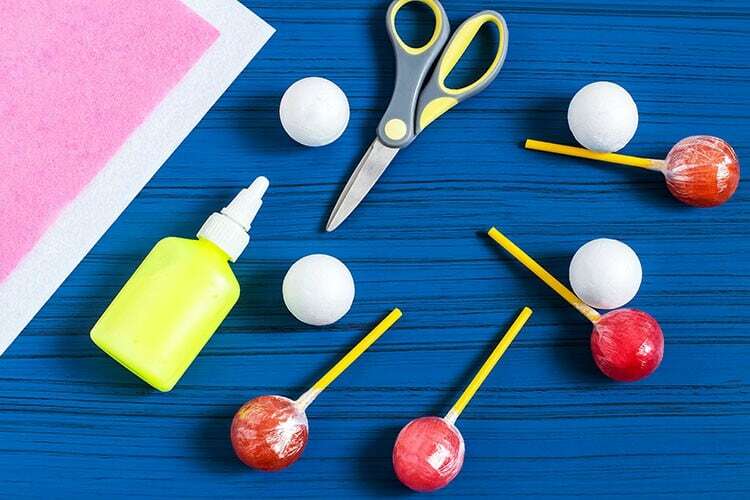 Step 1: Gently slide your styrofoam balls onto the lollipop stick. Step 2: Using a pencil, on the white felt, create the outer bunny ears as well as the feet. Create the smaller inner ears on the pink felt. Cut these out. Tip: If you have a Cricut Cutting Machine, you can make this step super easy by getting your machine to cut out your bits for you. I couldn’t find exactly the same cut file, but I really love this bunny set (search in images of Design Space: #35212910). Step 3: Next, glue the pink inner ears onto the white outer ears. 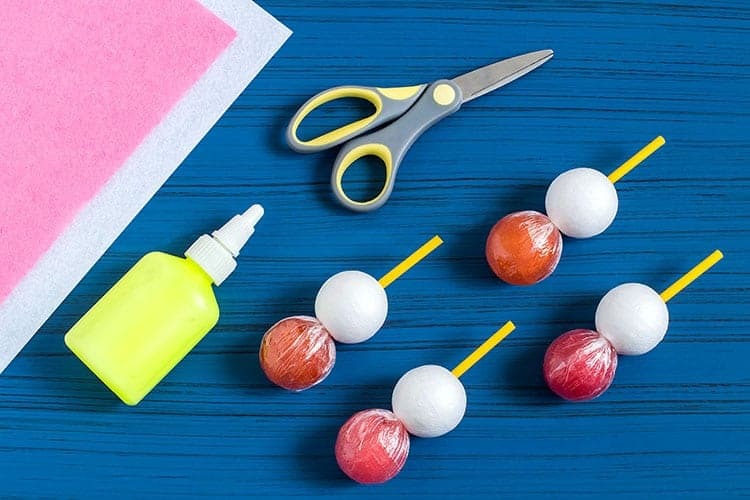 Step 4: Glue the feet to the bottom of the lollipop (I love using hot glue, but if you have children working on this craft I would suggest a fast drying liquid glue). Glue the ears to the top of the styrofoam ball. Step 5: And lastly use the black pen or marker to draw on your cute little bunny faces. Use a touch of pink or red for the mouth. 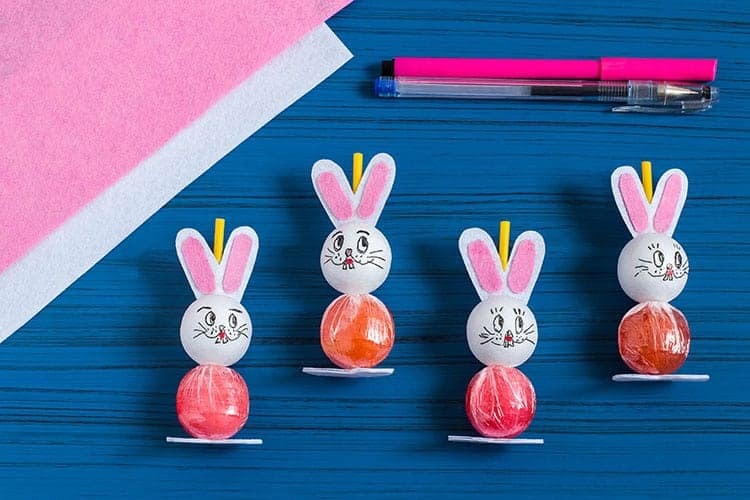 And there you have some super adorable rabbit lollipop Easter treats. 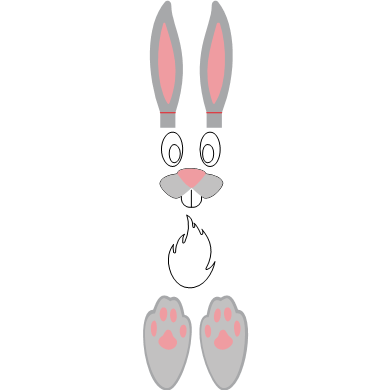 So easy to do that it is also a quick Easter craft for kids to complete as well. They can hand these out to their friends at school, or simply pop them on a table for your family Easter gathering. I love this craft, it is quick and easy and they look so cute!